PopEntertainment.com: Dermot Mulroney interview about Cranky George. Copyright �2016 PopEntertainment.com. All rights reserved. Posted: November 8, 2016. We think we know Dermot Mulroney, after decades of watching him in classic movies like My Best Friends Wedding, Young Guns, About Schmidt and The Grey. However, despite the fact that he has been so visible in films and on TV, did you know that Mulroney was a professional musician? 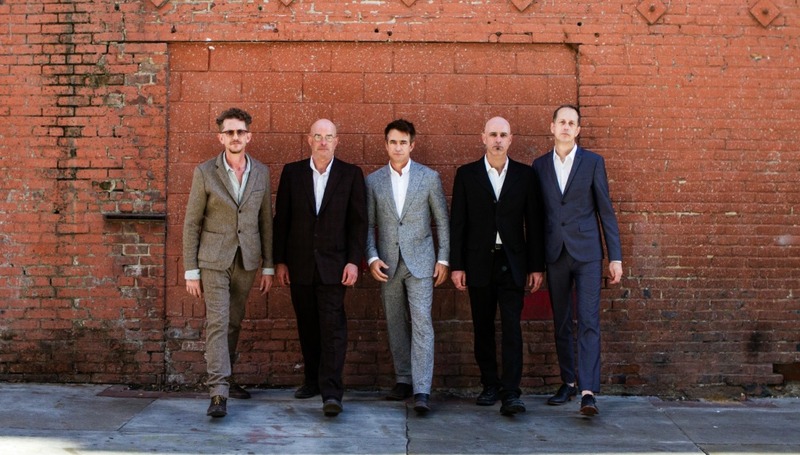 Not just an actor who put together a band, mind you, but a classically trained cellist who works almost as regularly on music as he does on film. In 1995, Mulroney and a good friend, former Pogues founder James Fearnley, even released an acclaimed rock album as part of the Low and Sweet Orchestra. Two decades later, Mulroney and Fearnley have continued playing together sporadically over the years, and the fruits of their labor are finally coming out with their new band Cranky George, whose debut album Fat Lot of Good was just released a few weeks ago. Also in the musical collective is Mulroney's younger brother (and fellow actor and director) Kieran Mulroney (who has made many movies over the years, but may be best remembered as the guy who yelled at George Costanza for "double-dipping the chip" in a classic episode of Seinfeld). 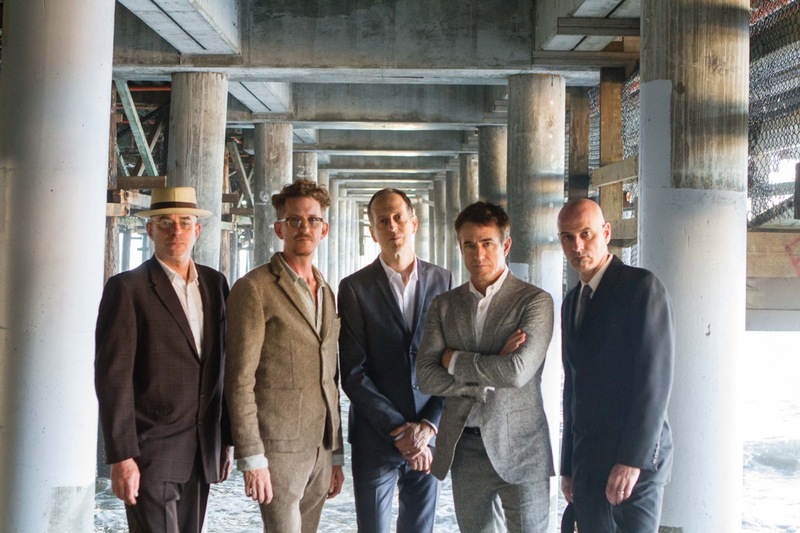 The group is rounded out by acclaimed music producer Brad Wood (Liz Phair, Smashing Pumpkins) and drummer Sebastian Sheehan Visconti. 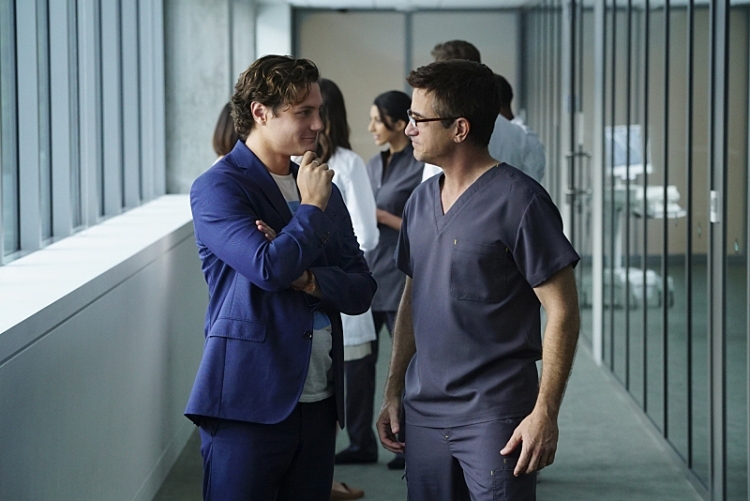 Beyond his musical release, Mulroney also plays a brilliant neurosurgeon in a new TV series called Pure Genius which has just premiered. On the day of the Fat Lot of Good release party, we caught up with Mulroney to talk about his musical labor of love and a lifetime of juggling music and acting. How did you first get to know James Fearnley? How familiar were you with his work with the Pogues? I met him before I really knew the Pogues' music. I met him through his at the time soon-to-be wife, who is a wonderful actress and old friend, Danielle von Zerneck. We were working together and her weird English boyfriend was hanging about. We struck up and we've been mates ever since. Neither of our memories, James and mine, is particularly reliable, but we think it was about 1990. H ow did you decide to work together? This is how it went. As soon as I get that he's the Pogue, I clue into those albums. They're still active at the time. Then he married Danielle and moved in about four houses away, here in Los Angeles. So, we were friends first, and then I was a fan, and now I'm a neighbor, and we start playing together. Previous to all this, he had been in this bizarre Alex Cox movie Straight to Hell. Remember that? They played those weird Englishly Mexican outlaws. He was in the gang in the back, and he met Zander Schloss, who also played one of the parts. He was one of those buddies of Alex Cox. That connection became Low and Sweet Orchestra. This by now was '95 and '96. We made an amazing album for Interscope. That was during Interscope's heyday, really. When Death Row was peaking, and who came out right with us? Wallflowers. No Doubt. Bush. Those albums were all released right when Low and Sweet's was. We only did what we did. We made a great album. People loved it. It didn't take off. How did that turn into Cranky George? We kind of morphed out. Then a couple, five, eight years later, me, Kieran and James all have a handful of new songs that we've cooked up alone. We threw them together and made it into Cranky George. So, part of what you hear on Fat Lot of Good is what it sounds like. There are three different singers. You don't really know who is who. There is a group sing, all skate, kind of we all shout at the same time band. It gives it that really rousing sound. It gets it a broader point of view than maybe if you just had one singer. It's really organically part of how the band came together. What is it about this group of guys that feels so comfortable as a musician? One is the gene pool. Kieran and I played in the same orchestras through high school, so that doesn't really count. But by the time we were both in Los Angeles and playing out, you really realize what kind of similar ear you have. Instincts for songs, even for how to harmonize. Much of the two-part... I'll say all of the two-part harmony on the album is him and me. That sound is real true group sound. And I guess I lost track of what your question is. It was what is it about this group of guys that feels so comfortable as a musician? Knowing James for as long as I have, too, there's just a familiarity. His type of playing, which whether you notice it or not, his accordion playing is really unique. It sets his sound apart. 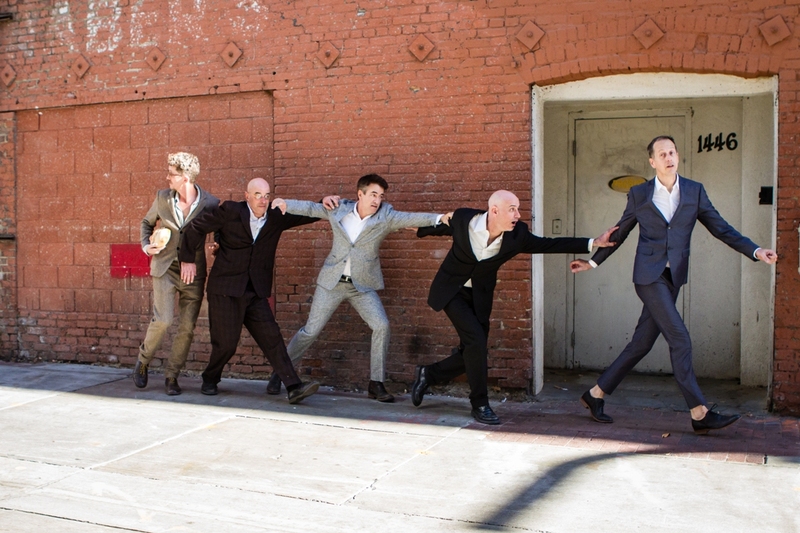 You really only hear that in the Pogues and in our band. Other guys who play accordion in rock bands don't do it at all the same way. Same goes for Kieran, by the way. For that matter, the way I play the mandolin in most of these songs also isn't your typical approach to that instrument. We love that even within interesting instrumentation, we're bringing a really unique sound out of these instruments. We share that. We share a great drummer who is getting rocking reviews for his interpretations of these songs, Sebastian Visconti. And our bass player is the great producer Brad Wood, who has worked with Liz Phair in his Chicago days, at the height of that creative blossom out of Chicago in the 90s. He's got all that experience and the best ear I've ever worked with. So it all just gels? It's a great combination of individual talents. But that's another thing I love about the album, you have these different perspectives. Different singers, but the songs vary quite a bit, too. They get together in a way that feels real. That just perfectly describes it, answers the question you're asking. How do these disparate things work? It really is because it's a true connection between the players. The instruments compliment one another. It's all part of the appeal of the band, I think. It doesn't sound like individual... yeah, you'd be able to describe that better as a writer, I'm sure. (laughs) Not like your typical band where there is just four instruments, one guy sings, some producer-y tracks. These are all really real songs. Why do you think the three lead singers and songwriters gives the band an intriguing complexity and depth of styles and genres? Yeah, that's one of the things I love about it. I wouldn't know any different. I'm trying to think of another band that actually does that. Right there aren't that many any more. There really aren't that many. Some people liken us to Arcade Fire, and they switch around a little bit, of course, and play multiple instruments. We love that comparison, of course. As much as our sound developed even before we knew about that group. You and your brother have been working together for years � both in film and music. You always hear stories about great rock and roll brother feuds � the Davies, the Gallaghers, The Everlys, The Fogertys and so many more. How do you two keep things chill while working together? (laughs hard) Yeah. I hate that you're asking a very well-timed question. Because we got along last night, but all five of us finally were like: it's late. It's midnight. We're underfed and overtired and aging. And all five of us finally wound up really super cranky. So we finally reached max cranky last night. I've got to tell you, we got through it. Nobody threw anything. Nobody really gave anyone the evil eye or the anger. We really managed it well. Ten, twelve years later, we had our first band fight. Now, I'm overstating it, but really it was at the end of our rehearsal and everyone was really at the end of their rope, and we rolled with it, so that's the best answer there. I saw an interview with the band � I�m sorry the website did not specify who was talking � but it put as one of the biggest influences for the band as Tom Waits. I picked up on that influence, particularly on songs like �All the Rivers in the World,� and �Misery Road� and the title "Sausage Moon." 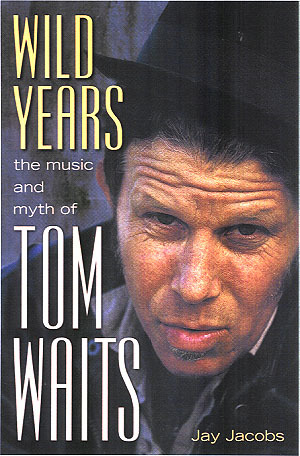 I wrote a biography of Tom Waits, so of course I�m particularly interested in that. How did Tom Waits inspire you as a musician and a songwriter? Yeah, I more or less just ripped it off of "Raindogs" and put it in that song. One with super-bizarre notes. That's the most direct influence in that one little moment, but certainly the dark ballads and the driving, guttural sound that our instruments, and Kieran and my voice have, very much reflect that influence. 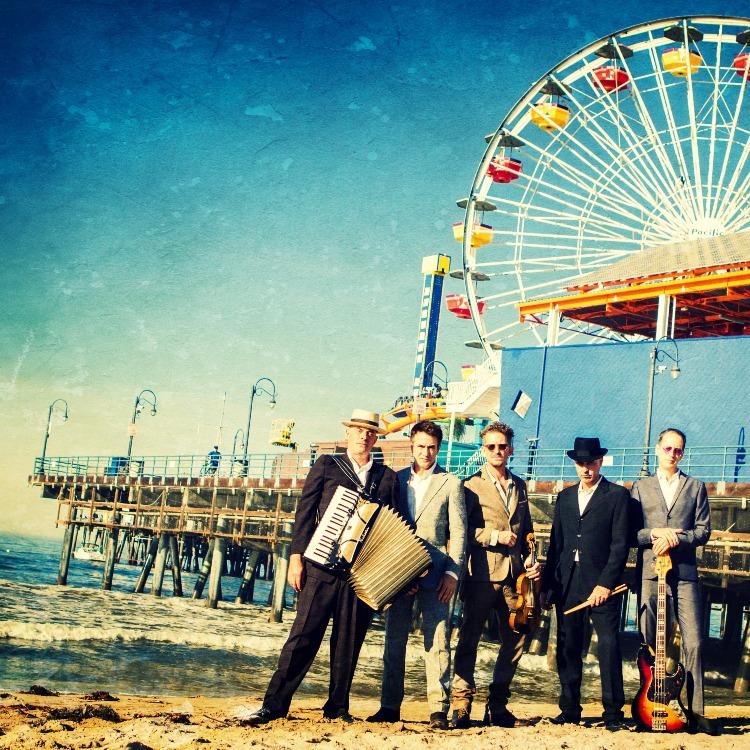 Songs like �Tunnel of Love� and �Katyusha� have a strong gypsy influence. It almost reminded me of Gogol Bordello. Why do you think the sound and idea of gypsy carnies is so romantic to people? I don't know. We just may have had that as an influence. Much of it maybe comes out of these instruments. Really, the accordion sound is a signature sound. Also, more so originally than now, or I'd say not as much on the recording as our live stage show, the three or four of us are playing percussion with our feet while we're playing the other instruments. The bass drum on the entire album � this should have been touted, I think, somewhere � is not a bass drum. No one is playing the kick drum anywhere on this album. He's playing a hat box. It's a hat box with a foot pedal, so it's got this entirely unique [tone]. I mean, it's played just like a kick drum, but the sound and the quality and the thumping of it is because we're literally playing luggage. I play a little tambourine hi-hat. Kieran plays cowbell on stage. So it's always had that rickety, clanky carnival sound. Then when Kieran brought in "Tunnel of Love" as a song, it really felt like a real one. When we decided to lead the album with it, it became even more of a signpost for what's to come in the album. It was almost a last-minute decision to put that up front. I just think it's fantastic to lead with that. I think it answers that question that people will ask us: what is the source of this sound? Then, James always has mixed gypsy and sea shanty and Middle Eastern strings and all that in his accordion playing. If you listen to his accordion in the Pogues, even some of it is there, certainly in their instrumentals. I can think of a couple of tunes where that is already playing its part. So James' ear brought that. Those became driving sounds, signature sounds with this group. Then again, the first single �Nighttime� and things like �Perfect Skin� have more of a classic rock feel to it. Were you guys looking to explore styles with the album? Yeah. A lot of it just happened because that's what came out of Kieran's warped head. Because then we were doing a full-on rock song, I would say, with "Perfect Skin." Even though it leads in in a unique way and so forth. Then "Nighttime" came out as a fully realized piece the first time we even played it. Even then, I knew that it was an epic, near-perfect, big, rock-anthem song. It rises and it makes you wait and it is just so fun to play. We're really proud of those two songs, those two you mentioned, because they do spread our sides out a little bit. We tip our hat to real rock and roll songs with those two for sure. That's something we sought to do, thinking we could beef it up a little bit. Even a song like "Waltz in Blue," in its original form, it stayed just like the intro, just kind of tinkling along. Then one day we just slammed in on the second verse and it even took on a rock and roll feel, when it was really originally just a minimal ditty. Then when Brad Wood threw this slightly heavier arrangement at us, that's when that song really clicked. When it did accept that it was a rock song. The album has been five years in the making. How does it feel to finally have it out there? I see you guys have a bunch of shows scheduled for the LA area. Any chance of a national tour, or is that too hard to plan out with your busy filming schedule? Yeah, we don't know what the future brings. It will obviously depend on what kind of... or any... popularity. (laughs) Any people's desire. Then scheduling would always be a difficult issue. So, we'll take what we can get. We'd love to. I've heard that's a great way to make money. (laughs) Selling CDs isn't anymore. So we've got to just wait and see what happens. And like I said, yes, that would be the answer to that. We will definitely get out there however we can. The music business has changed so much over the years � with streaming and piracy and so many factors. Do you think it�s harder for a new group to get attention in the current crowded marketplace? I do. There's just no marketing other than what people generate for themselves. Obviously, social media has become what was once the label PR machine. It is strange. You get this notion that this great wild success can just pop off of YouTube, but we'll find out. I don't know how that's going to work. We have no support. We're doing this literally as a ma and pop operation off of Kieran's dining room table. Sending our own... they're mailing the albums out individually to people that have preordered them. (laughs) There's nobody driving the bus except us, so it is going to be catch as catch can. I think it's going to be fascinating to see what goes down, man. People have known you for years as an actor, but you have also always been a musician. Is it at all hard to get people to look at you in a different way? You know, to be honest with you, I never really try to steer people's perception of me. Most of the publicity has always been attached to a project or something. I've never brought forward so much that I'm a musician the way � and let's be honest � I've seen other actors do it, or tried to hitch their band's fortune on their movie stardom and so forth. None of that ever really happened with me. This is really real and organic. I'm a classically-trained cellist, who brought those influences to playing music with my friends. They turned out to be amazing songs that we had to be righteous and record and put out. It's a little different path than the clich� of the actor who has a side band. Really, my real side gig, my second job, is playing cello in scoring orchestras for blockbuster movies. For that, I'm actually an union musician and get paid for it. Cranky George is still � as important as it seems to us � it's just an avocational pursuit at the moment. But, who knows what tomorrow brings? (chuckles) Who knows? Are there any ways that you feel like your acting experience has informed your musical career � for example, being more comfortable on stage � or do you consider them totally different parts of your life? Just on a more basic tack, is it difficult fitting your music in when you work so regularly in acting? Well, right now I'm on a great show called Pure Genius that opens like two weeks from now. It's a steady gig. It's in town. I have a little more say in my life and my logistics. The couple of years leading up � last four years or so � I was all over the place chasing film jobs and so forth. So there's a chance I'll have a little more balance in life now that I'm working at home. I won't have travel around the calendar the way I have in the several years preceding now. I hope you don�t mind me asking a couple of quick questions about some acting projects you have coming up as well while I have you. No, I'd love if you'd include it and time it together somehow. Your new series Pure Genius has just debuted. What can people expect from the show? It's really turning out to be a great show, and I know, because I've been doing this long enough to be able to get a feel for how the thing is going to be when it's done. You can never be 100% accurate, but my sense is that we've got great material. [Showrunner] Jason Katims [who previously did Friday Night Lights and Parenthood, amongst others] is tried and true, one of the most successful television producers of all time, really. [He's] writing it and hands-on producing it. Great cast. Augustus Prew is fantastic. He's playing sort of a Steve Jobs-type of tech billionaire who opens the state-of-the-art hospital. With interesting diseases and medical problems, you come and we'll take care of you. He recruits, hires the best surgeons in the country. That includes my character. And we're off to the races, making a tech show in a medical drama environment. It really is. The cool part is that we're putting in stories amazing new medical procedures, stuff we've never heard of yet. We're ahead of the hospital rooms. The producer likes to say we're making the show five minutes in the future, because this stuff is real, and it's coming. Whether it's virtual reality, or robotic with sensations... Would it be also ingestible sensors? Bio-sensors? All the stuff that's just about to hit hospitals and be practical; we're telling that story now. It's really fun to be ahead of the times. You also have a big action film called Sleepless coming next year with Jamie Foxx. What is that experience like? Jamie Foxx takes the lead and takes a fantastic action hero trapped in a casino � basically a Die Hard chase movie in a casino. I play the dirty casino manager who is running a cocaine game out of his executive suite. Really fun part, and really the best thing there was to work with someone with the kind of talent that Jamie Foxx has. It's something else when you work with him. You realize that he has everything. I've always had the most respect for actors who can do everything: comedy, drama, sing, dance, intrigue, thriller, action. Jamie... there are so few American actors, or any actors, that can do all the variety of things that Jamie Foxx can do. We got to be friends. He's an awesome guy. I haven't seen Sleepless yet, but I really think it's going to be a real satisfying action thriller. You�ve been working more on TV after doing mostly movies years. How is working on a series different? Do you enjoy, like you said earlier, being able to stay put for a while? Well, that's a plus. The music business and the film business, both have changed so drastically. In both categories of my life, I'm approaching from a different angle now. I had to adapt to the industry changes. Film work dried up, really � the films that I was doing, independent films. They're really just not making as much. And if so, it's some sort of bargain to do it. It was happening at the same time that television is obviously peaking in terms of quality and prominence. So one sort of became the other, in a way. I'm just happy I was light on my feet, and facile, and could make the adjustment, so that I could continue doing what I've always done. Which is pursue great parts with the top directors and producers and working with great actors. The same template applies to me doing television. 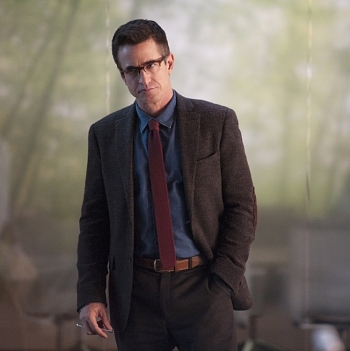 CLICK HERE TO SEE WHAT DERMOT MULRONEY WAS UP TO IN 2007! CLICK HERE TO SEE WHAT DERMOT MULRONEY HAD TO SAY TO US IN 2012! #1 � 2016. Courtesy of ABC Television. All rights reserved. #2 � 2016. Courtesy of Miles High Productions. All rights reserved. #3 � 2016. Courtesy of Miles High Productions. All rights reserved. #4 � 2016. Courtesy of Miles High Productions. All rights reserved. #5 � 2016. Courtesy of Miles High Productions. All rights reserved. #6 � 2016. Courtesy of ABC Television. All rights reserved.